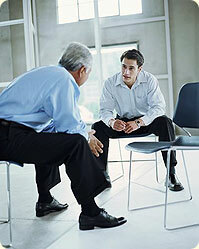 Today’s managers are facing coaching challenges everyday. Employees avoiding accountability and making excuses, difficult employees infecting team members with negativity, and trying to motivate mediocre performers without money. But coaches are not born, they’re made, and managers must develop the essential skills and tools to effectively handle these situations. As a coach, you also have to constantly deliver feedback on employee performance or behavior to help employees reach their full potential. In this high-energy webinar experience, you will learn specific coaching strategies for maximizing employee performance and dealing with destructive behaviors and poor performance. Discover how highly effective managers deliver feedback and criticism tactfully, establish employee expectations, and create a healthy work environment where employees can excel. Our 60-Minute live webinar will be held on Tuesday, January 27th at 12:00 p.m. Central time. You will receive an email with instructions for calling in and downloading the webinar workbook.